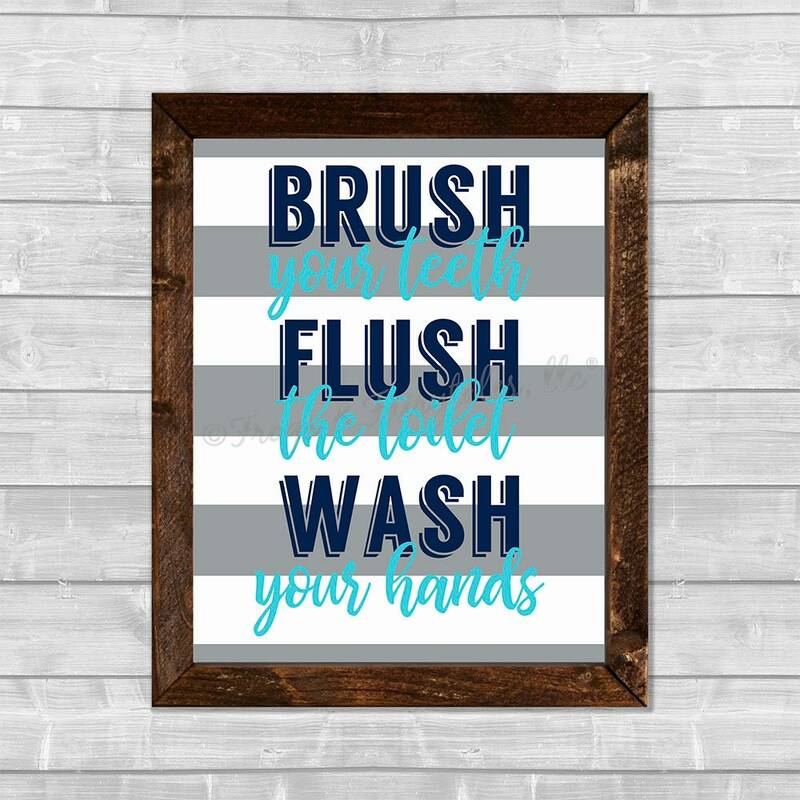 This Brush Flush Wash canvas wall art would be the perfect addition to any child's bathroom! It has a grey and white horizontal striped background with the words in navy and aqua, navy and pink, or custom colors of your choosing! Watermarks will not appear on your actual print. This piece is printed on canvas using the Giclee method, using archival inks, then sealed, and adhered to a wood backing. It is attached to a hand cut, hand stained, rustic wooden frame. It has a picture hanger attached to the back. It is delivered ready to hang or sit nicely on display. Use the drop down menu to choose your size and color scheme. Please note our current ship time and pricing under the shipping tab in the listing. If you would like something shipped outside of the US, please message us with the postal code before ordering so we can quote you a shipping price and set up a custom listing for you. Is this a gift? We would be happy to put a note in the box letting the recipient know who it is from and a message if you'd like us to add one. We do not include a receipt in the box.